Hardwood flooring will never go out of style. It came about in the 1600s at a time when only the wealthiest could afford them. Back then, hardwood floors were expensive and handcrafted. Solid planks that used to be as massive as 7/8″ thick and 2-1/2″ or 3-1/4″ wide were scraped manually. Modern tools were invented much later. Yet even in the 1940s, labor was still intensive and professionals had to be hired for installing hardwood flooring. It’s a different story now that anyone with skills, time and the right tools can turn the process into a DIY project. Make sure you have the following tools should you try one yourself. Tape measures are used to measure distance. They are very flexible and can roll up into the case when they are not in use, making them easy to use and to store out of the way. These make it very easy to measure either smaller distances or larger ones by yourself, which is why they are necessary when installing wood flooring. Tape measures can come with a number of features, including being self-retracting or having the measurements marked in different units. Most of the time, when you are using a tape measure, you will want to make sure it has smaller units marked so that you can be very precise when measuring your wood for your new floor. Make sure the tape measure you choose not only has inches and half inches marked, but also quarter, eighths, and even sixteenths. While this may seem like you are being picky with your tape measure, not being exact with your measurements can cause you a lot of problems when installing a hardwood floor, and it’s best to be as exact as possible if you want to have a floor that you are proud of and will last for a very long time. While there are two main types of tape measures, only one of them is very helpful when you are installing a hardwood floor. While you can buy long tape measures, these can be up to 500 feet in length and are specifically designed for builders and engineers. Most of the time you will be able to use a pocket tape measure to help with your installation. These use a spring to return the tape measure to its case rather than a crank, which is what is used on a long tape measure. Ensure that you have a tape measure that has a hook or a tang on the end. This allows you to use the tape measure by yourself, as it can hook into position. There are also self-marking measures available, making it easier to measure with just one hand. You have to have a broom when installing a hardwood floor because there is going to be a lot of dust that you create when using your tools. While you can often get away with using your home broom, a push broom is a better option, as it will allow to you easily clear a large area in very little time. Using a push broom makes it simple to pick up not only sawdust but also ends and pieces of wood that you have trimmed down to make the board fit. These scraps need to be removed to complete the installation and to ensure that you don’t accidentally scratch your new hardwood floor if they are stepped on or slide across the surface. In addition to a push broom to clear long hallways and large rooms of the debris you leave behind, you may also want to have a smaller hand broom that will allow you to really get into the corners for a deeper clean. These brooms aren’t practical for sweeping up large areas, but because they are small enough to get into corners and along the edge of the wall, they will ensure that your final product looks as neat as possible. A smaller handheld broom will also be used to sweep up the larger piles of debris that you collect with the push broom. Of course, you will need a dustpan to easily remove everything from the floor and to ensure a clean finish. When installing your new hardwood floor, you will need a chalk line to help you easily and quickly mark the location of the floor joists. This is because you will have to have a sturdy surface to nail your first boards into, and while some people think they can eyeball this, the best way to make sure you are working in a straight line and won’t get off center is to use a chalk line. This tool can also be used in larger rooms or long hallways to help you stay in a straight line, as any deviation will result in a subpar floor that doesn’t look nearly as good as it could. These tools are used to make straight lines on flat surfaces. They are great for creating very long lines when otherwise you would be hard pressed to do that with tools and a pencil or piece of chalk. They work because of a nylon string that is pulled taut and then snapped or plucked so that it hits the floor. This leaves behind a perfectly straight chalk line that shows you where you need to install your flooring. When you roll the line back up into the tool, it once again becomes coated with loose chalk dust so that it can continue marking as many times as you need it to. It’s important to remember not to snap the line before you are sure that you are ready, or you will mark the wrong area. Of course, you can easily wash or wipe away incorrect lines, which is why this tool is great for anyone getting started with DIY flooring installation. These saws are very different from other ones you can buy because the blade is horizontal and parallel to the floor. They are used specifically to remove the bottom of the door casing in the home where you are installing your new hardwood floor. They can be used for hardwood installations, but also laminate and cork. These saws remove the bottom of the casing, allowing the new flooring material to slide neatly under, creating a very cohesive and clean appearance when the work is done. One of the main benefits of using a jamb saw for this work is that you can quickly and easily set the depth you need to have cut. This makes it easy to cut the casing around your door to the exact size so you are not trying to shove the flooring underneath or dealing with a large gap when the work is done. It’s important to remember is that if you are going to have your flooring on top of an underlayment that you will want to leave enough space for that extra height or you will have to make another cut. When using a jamb saw you will want to make sure the blade is very sharp, as one that is dull will cause the door casing to splinter, and this can be very unsightly as well as difficult to repair. Dull blades will also heat up faster when cutting through wood, which can cause burn marks. The last thing you want to do when installing your new hardwood floor is trying to nail directly through the wood. While this may be tempting to speed the process along, it is a great way to splinter your wood and possibly run short of supplies. Instead of running this risk, your best bet is to use a very powerful drill to pre-drill holes that you will use for the nails. Some people don’t want to do this step as it does add a little extra work to the project, but it is important if you want to have a finished floor that you can be proud of. You will want to make sure that if you use a cordless drill that the batteries are charged and that it is strong enough to stand up to the work you need it for, or you are likely to be very frustrated when it stops working part way through your project. Charging the battery beforehand is a good idea, but if you want to ensure that you don’t have to stop during installation, then opt for a corded drill. While these can be a little more difficult to maneuver, knowing that you have all of the power you need to complete the installation will allow you peace of mind and ensure that you get the job done on time. The right drill bits will make all of the difference in the world when you are installing your new hardwood floor. You never want to use a drill bit that is too big or too small, as it’s best to have a hole in your wood that is the perfect size for your nails. When you have a number of drill bits to choose from, you can make sure you’re using the right size and that you won’t run into any problems. It’s also a good idea to have backup drill bits on hand because while it is difficult to break these, accidents do happen. Having to run to the store for new drill bits to finish your job is very frustrating and will put a damper on your enthusiasm. You can buy less expensive drill bits that are made of low-carbon steel, but these need to be sharpened regularly and won’t hold an edge very well. While they are only used to drill wood, using them on hardwoods is not preferable. You’re much better off with a high-carbon steel drill bit or high-speed steel. The high-speed steel drill bit can stand up to heat and is great for drilling through hardwood. This hand tool is indispensable when installing your new hardwood floor, as you will be using it to drive nails through the wood. While most hammers do have a claw on one side of the tool, this is generally not used, although you will need the use of a pry bar later during the installation. When choosing a hammer, it’s important that you find one that is light enough for you to easily hold and to use but has enough weight that it will help you pound your nails in so that you don’t get tired when working on the floor. If you are going to be the only one working on the floor or prefer not to wear gloves, make sure that the handle of the hammer is something you can comfortably hold for extended periods of time. You don’t want to get a splinter or a blister when using this tool. This is a small, metal tool that looks a lot like an icepick and is used to drive finishing nails that are below or at the surface of your hardwood floor. When installing a new hardwood floor, you want to make sure that your nails are flush or countersunk into the floor so you do not catch your socks on them or accidentally snag other items. The best way to do this is to use a nail set in conjunction with your hammer to get the nails where they need to be. Trying to drive nails without a nail set will result in damaging the surface of your new floor, as the hammer will hit the hardwood as well as the nail. It’s easy to tell when this has happened, as there will be shallow indentations around the nail where the hammer hit the floor. It’s easy to use a nail set. After driving the nail into the wood as far as possible without damaging the floor, you then place the tip of the nail set onto the head of the nail. Finish nails generally come with a small indent on the head for this specific purpose. Then you gently tap the nail set with the hammer to push the nail the rest of the way into the floor without damaging it. This is a larger saw that you will need when installing your new hardwood floor. It has a circular blade that is mounted vertically so you can easily slice through boards and cut them down to size. The blade is adjustable so that you can raise or lower it, depending on the thickness of the material you are going to be cutting. Most of the time, when installing a hardwood floor, the blade can be relatively shallow, as the hardwood you’re installing won’t be very thick. This tool is indispensable when installing a hardwood floor since you will have to cut the boards down to the right size. While some people may try to do this with a hand saw, this not only will make it more difficult but will also generally result in pieces that are damaged or mangled beyond use. A table saw makes perfectly clean and straight cuts. Cutting around architectural elements in your home is impossible if you don’t have a jigsaw. Unlike a table saw that only cuts straight lines, a jigsaw can be used to cut irregular curves and lines with no problems. They are great if your wood floor is going to go through a doorway and you need to cut out the space for the door casing. They’re also ideal if you have an island in the kitchen that is not a simple rectangle or square, as it’s important to cut around the piece so that the floor fits perfectly. Not all installations will require a jigsaw. If there are no architectural elements to cut around and no issues with the door casings then you may not need one, but most hardwood flooring installations do need these saws. While you can use a hammer to start nailing down your hardwood floor, you will want to switch to a flooring nailer as soon as possible. They are much faster and incredibly easy to use and will make the job go by without much effort. Make sure you have your flooring nailer set so that the nails will be driving in countersunk with the wood, or you will have to go back over all of your nails with a nail set and a hammer to get the job done. Because these tools are pneumatic, they are very powerful. It’s important to exercise caution when using them to avoid injury. Also known as a crowbar, prise bar, or even pinch-bar, these are heavy-duty pieces of metal that are curved into shape so you can pull or pry items. They are levers that are made of either titanium or medium-carbon steel. Titanium pry bars have the benefits of being nonmagnetic as well as lighter so that they are a little easier to use. Pry bars come in many sizes and lengths, which means you can find smaller ones ideal for little jobs or larger ones that are able to handle much larger items. When you are almost done with installing your new hardwood floor, you will need to use your pry bar to ensure that all of the pieces are flush against each other and don’t have any gaps. When you reach the last wall, you will want to carefully cut all of your final boards to fit and place them in their spots. After this, use the pry bar with a scrap of wood to push the boards into position and get rid of any gaps. With the pry bar and a scrap of wood still in place, you can easily nail the boards into their location. Mallets are a kind of hammer but aren’t used to drive nails. They have very large heads that are made of either wood or rubber and rely on their softer striking surface to knock items into place without damaging them. Rubber mallets don’t leave marks on any pieces of wood you are working on, while wooden ones can be used to drive wooden pieces together. When you are installing a new hardwood floor at your home, you are most likely going to need a rubber mallet, as it will be strong enough to use without fear of damaging your new floor. Because you are very likely to have pieces of flooring that aren’t totally straight, you will need a mallet to help you use them if necessary. Try to avoid using them if possible, but if you get towards the end of your project and need more flooring, you will use your mallet to make them straighter. Simply drive a chisel where you will be using the bowed piece into the subfloor. You will have to pry against the bowed piece to try to straighten it as much as possible. Depending on how badly bent the wood is, you may need to screw a piece of scrap wood into the floor. Use your mallet to tap a wooden wedge to fill the gap, which will gently straighten the board. These tools are perfect for driving nails into the wood of your trim. They usually use compressed air to power them, making them very powerful and easy to use without a lot of effort. Most nail guns use fasteners or nails that are attached to a long strip or in a plastic carrier. You can get nail guns that have larger nails or ones that use much smaller finishing nails. These are the types of nails that you are going to want to use when you are installing your trim after finishing your hardwood floor. While you can use a flooring nailer to actually install your piece of floor, you will need a nail gun to install the trim around the room and down the hall. This gives your space a finished look and can easily hide any problems or gaps you left around the edge of the room. This could be accomplished with a hammer and nail set, but it’s much easier to use a nail gun. While this is not a tool that is used directly for the installation of your new hardwood floor, it is imperative that you have a dust mask on hand when you are going to be sanding your floor upon completion of the installation. Any dust that is released into the air can be very dangerous for you to breathe, which is why you need to take steps to protect yourself. Rather than putting yourself at risk when finishing your new floors, it’s very easy to pick up a dust mask for protection. Just like you want to take steps to ensure that your lungs are protected when working on a hardwood floor, you also need to make sure that your eyes are protected from any bits of wood or nail that come out from the floor. Using power tools is dangerous, and the speed at which the saw blades rotate can cause bits of wood to spin out at your face at very high speeds. Unfortunately, being hit in the eye with a piece of wood can cause you to go blind, which is why you need to take steps to protect yourself. Regular eyeglasses will not provide you with the necessary protection. Even though you are likely to be using your power tools for short periods of time, exposing your ears to these loud noises is actually very dangerous and can result in hearing loss. While it is very unlikely that you will experience hearing loss after installing only one hardwood floor, it’s best to make sure that you are taking all steps possible to protect yourself and your hearing. Both earplugs and earmuffs are incredibly inexpensive and easy to use, so there isn’t any reason that you shouldn’t have these items on hand when working on a floor. Earmuffs fit over your external ear and create a tight seal against the side of your head, making them very effective at blocking out any external sounds. Earplugs fit into your ear and are often reusable. If you do choose foam earplugs, then make sure that you opt for ones with a high enough rating so that your ears will be protected. Spending a lot of time on your knees can be very difficult and painful, no matter how old or young you are. You can take steps to protect your knees and ensure that you can easily get up off of the floor when you invest in a set of knee pads. Make sure that you choose ones that are high-quality and adjustable, as these will offer the best fit and protection possible. When installing a hardwood floor you will leave behind you not only a lot of dust but also small bits and chips of wood that will need to be cleaned up. Using your kitchen broom isn’t advisable in this case, as you will have to go over the same area on your floor multiple times to ensure that you have cleaned up all of your dust and debris. It’s a much better idea to opt for a push broom that will clear a very large area of your floor quickly and easily. Using a table saw can be very dangerous if you do not take steps to protect your hands and your fingers. A feather board is useful for helping to push your boards past the saw blade so that you are not at risk of injury. This means that you can also have a smoother cut edge, as you will not be jerking your hands away at the last second, which can cause the board to pull and get caught on the blade. It’s imperative that your wood has dried completely before you try to install your new floor, or you will have to deal with shrinking, buckling, and even cracks. Rather than guessing and hoping that your wood is ready for installation, you can use a wood moisture meter to check it. These meters come in two styles, but both work in the same way. Pinless meters are held against the wood, and an electromagnetic signal penetrates the wood to check for moisture. These are very fast and easy to use quickly, and they don’t damage the surface of the wood. Pin style meters have two probes that penetrate the wood to check for moisture. By passing an electric current between the probes they can see how damp the wood is and if it ready for you to install. Homeowners who are going to be installing their new floor on a slab need to make sure that there isn’t any moisture. There are a number of test methods to check moisture content, but most are fairly unreliable. 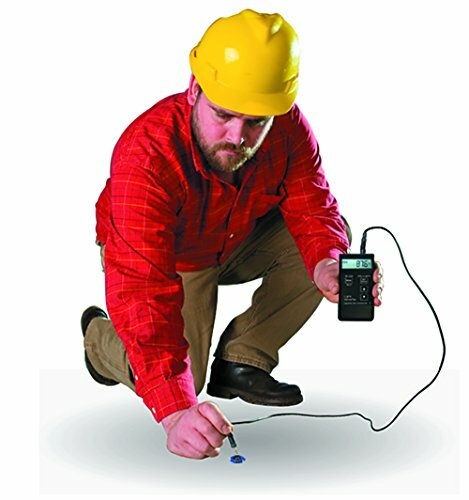 Using a concrete RH test is the best way to make sure that that the concrete doesn’t have a high moisture level and that you can go ahead and install your floor. You have to make sure that the subfloor is level before installing your hardwood floor. Use a large level so that you can get a very accurate reading on your floor, as smaller ones simply aren’t big enough to do the job correctly. Also, make sure that the level you buy has bubbles on both ends so that you can have an accurate reading quickly without having to move the level multiple times. Your wood floor will contract and expand some naturally during its life, but, because you do not want your floor to be ruined, it is a good idea to try to control this. 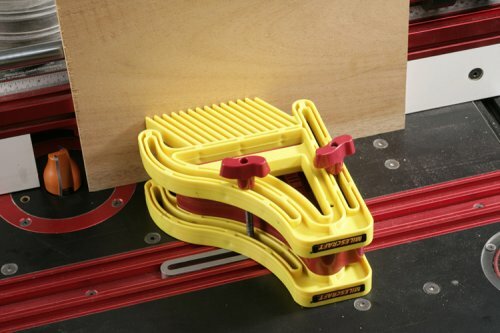 Using spacers lets you leave a little bit of room around the outside of your floor. This small space around the perimeter of your room will allow your hardwood to breathe without causing buckling or cracking. If you need to be able to quickly cut a piece of your flooring and don’t want to create a lot of dust or noise when doing so, then having a hand saw nearby is a good idea. While these tools don’t offer you the power or speed of a table saw, they are easy for anyone to use, making them a great option as a backup. Because you don’t need electricity to operate these saws, they can be used anywhere and at any time. Rather than using a piece of scrap wood with your mallet to tap your last boards into place, when you invest in a tapping block, then you won’t have to worry about accidentally damaging your boards. These often come with a small groove along the edge that allows them to fit neatly onto the board so that they don’t slip out of place. This small groove makes it a lot less possible that you will accidentally damage the board when you are tapping it. Using a sander to finish your floor after installation will ensure that it is perfectly smooth and that there aren’t any splinters or stray bits of wood sticking up. Look for a sander that has a large pad so that you don’t have to spend a very long time sanding your floor. Drum sanders are very efficient, but they tend to be a little aggressive and can actually damage your new floor, which is why many people opt for random orbital sanders. These are much less likely to damage your floor, although they will take longer for you to use. Using any pneumatic tools means that you will need to have an air compressor. These are very powerful, but you don’t need one that will offer you more power than you need. Choose an air compressor depending on how many tools you are going to run at once. Air compressors that are one-horsepower can generally handle a single tool, 1.5-2-horsepower air compressors can handle two tools at medium speed if used with a 5-gallon tank and can make them work faster when paired with an 8-gallon tank. Buying an air compressor that is a little larger than you think you need will ensure that you don’t get frustrated with the speed of your tools during installation. Even if you are prepared to sweep up all of the dust and debris that you have created installing your new floor, it’s a good idea to have a shop vacuum on hand. They are very powerful and offer plenty of suction to quickly clean your floor without you have to vacuum it.